"He is a good dog and people love him." 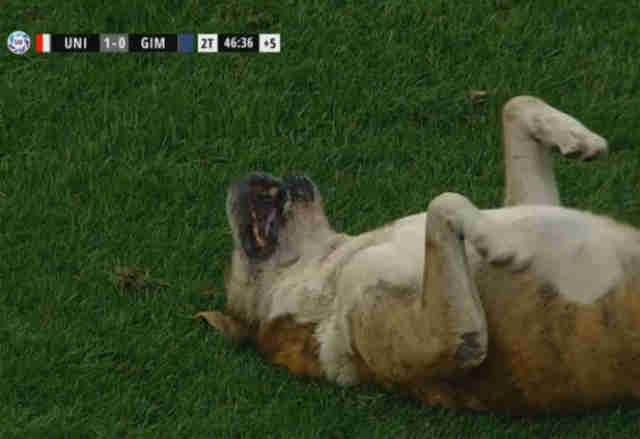 In the final minutes of Sunday's match between the soccer teams Unión De Santa Fe and Gimnasia in Argentina, this friendly dog named Roberto decided to make his move. 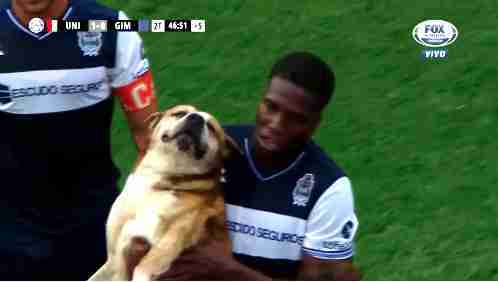 It wasn't long before Roberto was escorted back off the field — but judging from the dog's content expression, the interruption had been more than worth it. While the theory hasn't been confirmed, one thing is certain — Roberto has it made. "He is a good dog and people love him," a spokesperson for Unión De Santa Fe told The Dodo. "He's our team's dog. The members of the club attend to him as if it were their own."